1 click to remove DRM protection from purchased or rental iTunes Movie, TV Shows, Music Videos. Enjoy iTunes M4V videos anywhere on any devices without DRM limitation. M4V Converter Genius supports to convert protected M4V to mobile devices with 1 click. No need to study the compatible formats. iOS devices iPhone 7 Plus/7/SE/6s Plus/6s/6 Plus/6/5s/5c/5, iPad Air, iPad mini 2, iPad mini, iPad 4, iPad, iPad 2, iPod Touch 5, iPod Touch 4, iPod classic, Apple TV, Apple TV 2, The New Apple TV, etc. Android devices Samsung S5/S4/S3/S2/S, Nokia N900/X6/X3, HTC, BlackBerry, Motorola Droid, Droid 2, Droid X, etc. GPU acceleration enables to remove iTunes DRM at 30X faster speed than ordinary converters. 100% zero damage to quality of videos. Converted videos can be N times clearer than original ones. Adoreshare M4V Converter Genius is the easiest and most convenient M4V converter software in the market. Supports to convert M4V videos in bulk and provides "Merge" button to save all converted videos in a video file. 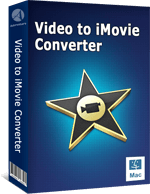 Simple 3 steps to convert: add M4V videos files > select format to convert > convert. M4V Converter Genius offers sort of personalized settings to customize media as your will. Be compatible with 32-bit and 64-bit versions of Windows 10/8.1/8/7/XP/Vista, etc. We assure free upgrades to keep your program up to date. No viruses and no harm to videos' quality. Technical support is available 24 hours per day. 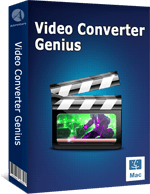 "This M4V Converter Genius is a great program. Just three steps, my M4V videos' DRM protection has been removed. 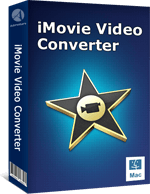 And I can freely convert M4V videos to any video and audio formats. How amazing!" "I superb love this software. I love the interface of it. So easy to use. I finish converting without any effort. "